29 April 2017 | Written by Mohammad Al-Asad	. Published in Heritage Properties. Read 2344 times. 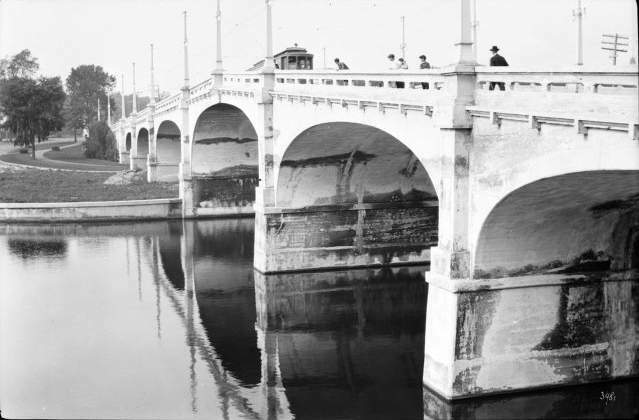 The high-level bridge was constructed by the contracting firm Jones and Gerouard, which offered the lowest construction bid of $99,500 forthe project. 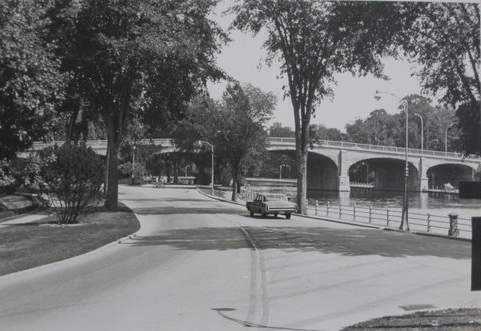 Thebridge was one of the city’s first reinforced concrete structures, and replaced a low-level truss steel swing bridge, which in turn replaced a wooden swing bridge that was first constructed in 1866. 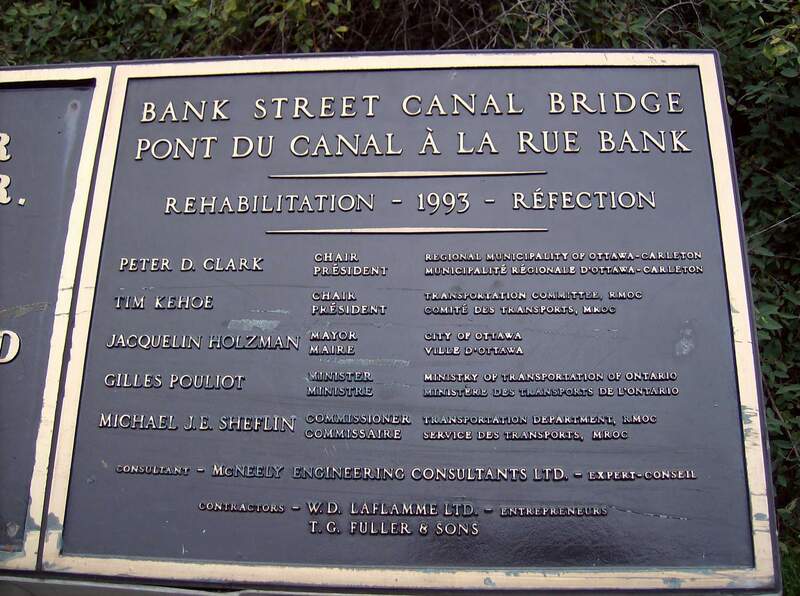 The new bridge was intended to relieve traffic congestion across the old swing bridge and to extend the passage of tramways (for which service had been initiated in 1891) south of the Rideau Canal. It had two double lanes with a six-foot sidewalk on each side, and incorporated a double line of tramway tracks. This carrying capacity greatly facilitated access into Old Ottawa South from the parts of Ottawa located to the north of the canal, and contributed considerably to the growth of the neighborhood, which had been annexed by the City of Ottawa in 1907 (The Glebe had been annexed in 1889). By the 1970s, the structural condition of the bridge had deteriorated considerably, and trucks were banned from it in 1981. Also, it had been stripped of its original lighting, concrete rails, and ornamentation back in the 1960s. The bridge structure eventually was rehabilitated in 1993, and its original ornamentation was restored. The Ottawa-based firm of Barry Padolsky Associates Inc. Architects served as the architectural and heritage consultant for the restoration project, McNeely Engineering Consultants served as the engineering consultant, and W. D Laflamme Entrepreneurs and T. G. Fuller and Sons were the contractors. 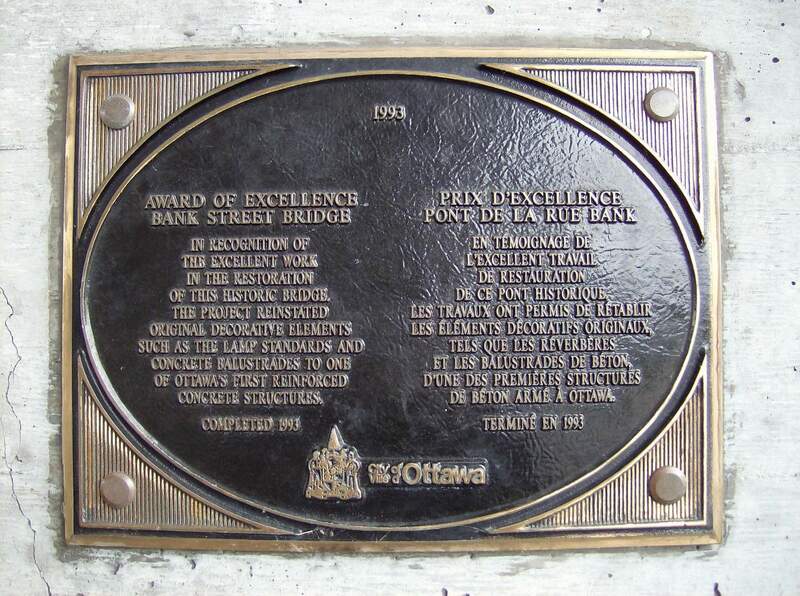 The project won the City of Ottawa Award for Excellence in Conservation. The bridge rests on six vaults, each following the outline of an elliptical arch. The vaults become higher and longer in span as one movesfrom theedges towards the middle. The bridge rises to its highest point above the third vault from the south as the outline of the rise follows an asymmetrical elliptical path. The vaults rest on large piers. Pilasters topped by metal lamp posts articulate the spandrels between the vaults. 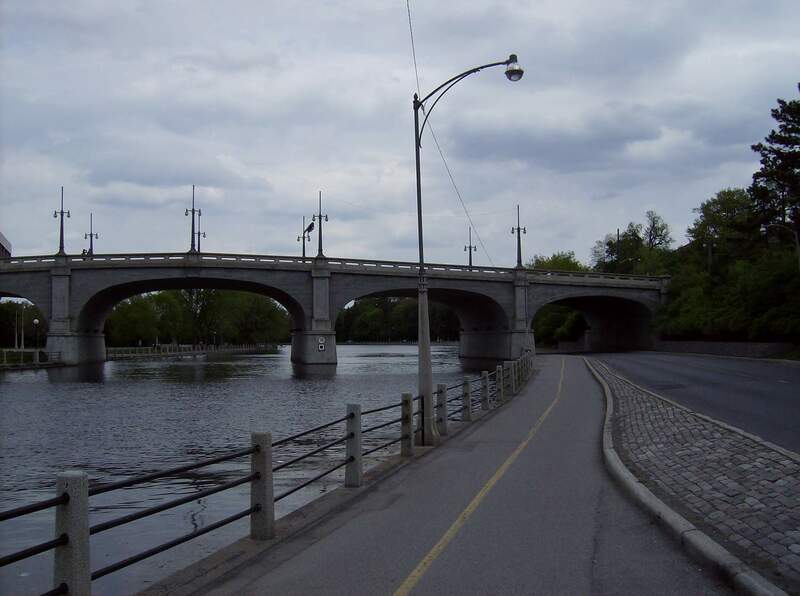 Only two of the bridge’ssix vaults, the second and third from the south, cross over the Rideau Canal itself. 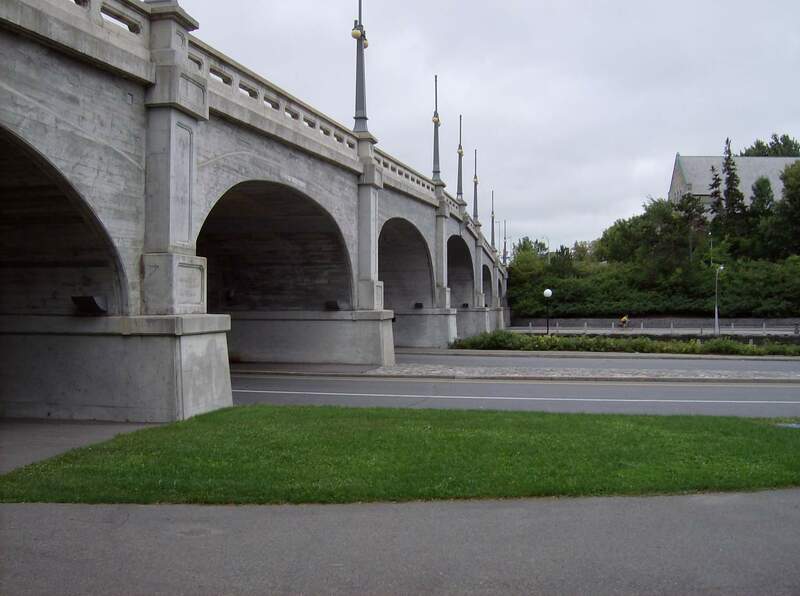 The southernmost vault, which is located along the bridge’s Old Ottawa South side, crosses over Colonel By Drive. The second and third vaults from the north cross over Queen Elizabeth Drive. The arched openings of the northernmost vault originally were shuttered with wood panels and the enclosed space was used as a storage area. 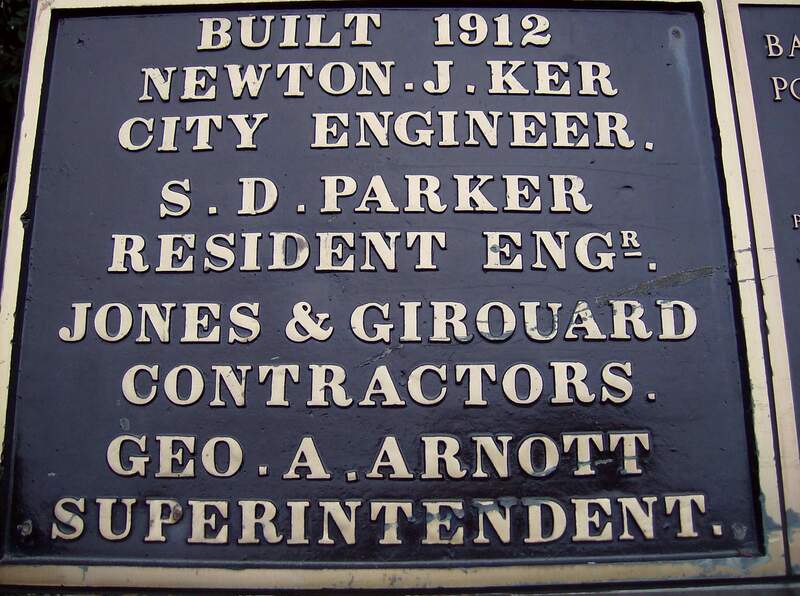 * The commemoration plaque located next to the bridge provides the date of 1912 for its construction. 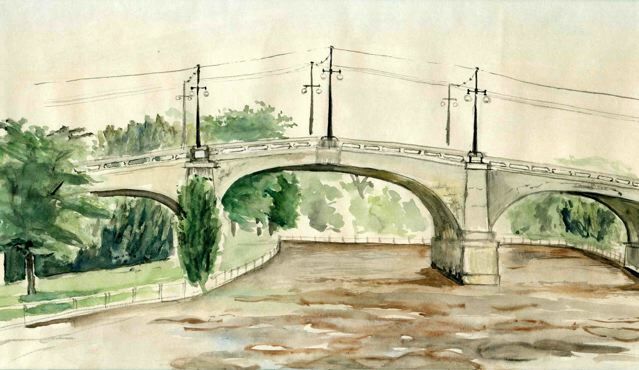 Robert Passfield, in his “Historic Bridges on the Rideau Waterways System,” gives the dates 1913 – 1914. Elliott, Bruce S. The City Beyond: A History of Nepean, Birthplace of Canada’s Capital 1792 – 1990. Nepean: City of Nepean, 1991, pp. 176 – 178. Passfield, Robert. 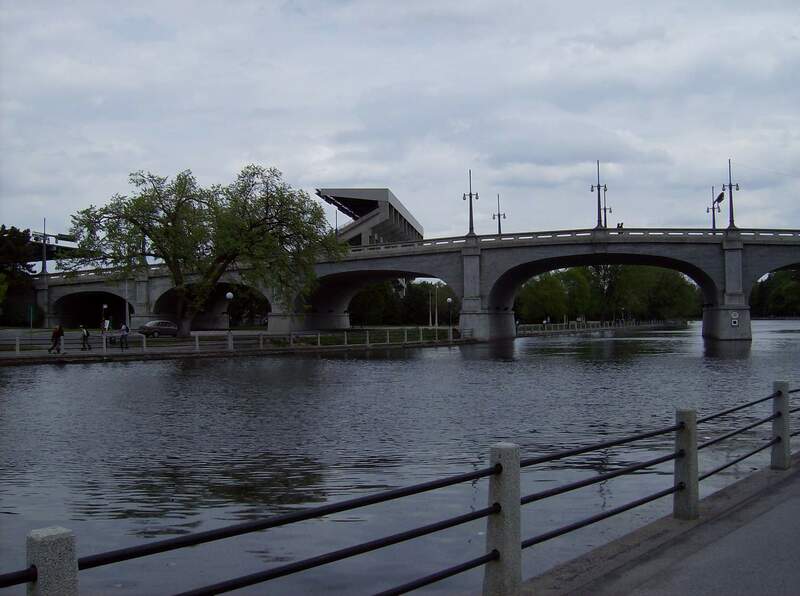 ”Historic Bridges on the Rideau Waterways System: A Preliminary Report.” In Parks Canada, Manuscript Report No. 212. Ottawa: 1977, pp. 16 – 17.